We all have a general idea of women’s running history. We know that women were largely banned from the Olympics and organized races until the 1960s. 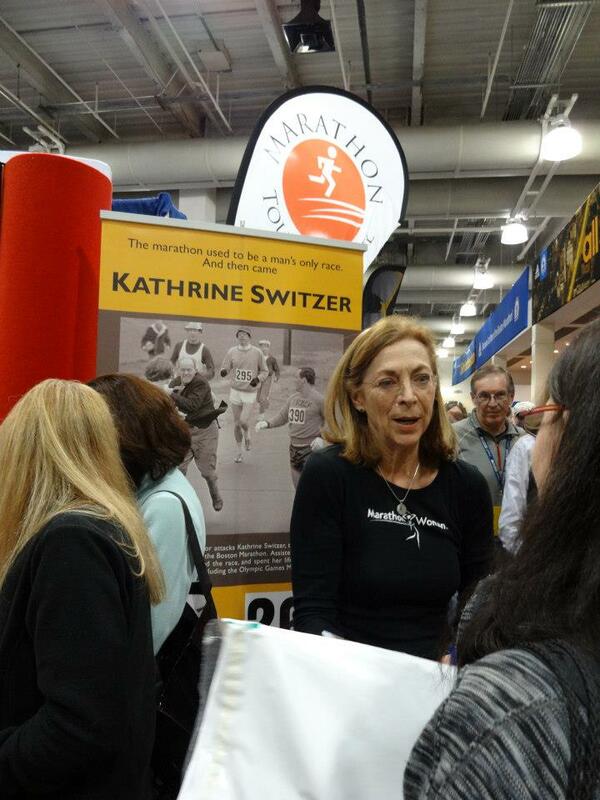 We know about Kathrine (aka “K”) Switzer and her famous run at the Boston Marathon. We also know about Rosie Ruiz and her more, shall we say, infamous bid at the same race. We know Paula Radcliffe holds the women’s world marathon record, and that Catherine N’dereba is indeed Great. But, there are several unsung heroes in the women’s bid for equality in running. Whether overlooked, unofficial, or lost in history’s records, women’s running goes back farther than April 19, 1967, and today, women are achieving running feats that were once thought impossible. A recitation of women’s running history often begins in the Summer of 1960 when the Rome Olympics held five running events for women: 100 meters, 200 meters, 800 meters, 80 meter hurdles, and the 4×100 meter relay. American Wilma Rudolph swept the 100 and 200 meter gold medals and picked up a third win as the anchor of the United States’ 4×100 meter relay team. However, women actually started competing in running events during the 1928 Summer Olympics in Amsterdam though only three races were held. American Betty Robinson won gold in the 100 meters and German runner Lina Radke-Batschauer took the gold in the 800 meters. The Canadian team nabbed the win in the 4×100 meter relay. The inclusion of the 800 meter race generated controversy when the media reported that several women seemed “exhausted” after finishing the race. Newspapers ran reports of female runners falling to the track after crossing the finish line, gasping for breath. The reports were later revealed to be gross exaggerations, but the damage was done. The 800 meter distance was seen as too taxing for women’s frail physiology, and races for women over 200 meters were banned from future Olympics. The Olympic committee failed to take into consideration that women had run an 1100 meter race at two prior Women’s World Games, all to no more ill effects than men running the same distance. The ban stayed in place until the 1960 Olympics. But, the Games continued women’s competition in the 100 meter, 80 meter hurdles, and 4×100 meter races with a 200 meter race being added to the lineup in 1948. Though running normally stole headlines during big events, such as the Olympics or major races like Boston, in 1954 a different kind of race was garnering public attention. Roger Bannister, Wes Santee, and John Landy were battling it out to be the first runner to go sub-four minutes in the mile. Roger Bannister struck first, and John Landy hit the mark a month later with Wes Santee running sub-four minutes shortly after that. What got lost in the media coverage was Diane Leather’s own historic run. Twenty-three days after Bannister broke the four minute barrier, Leather became the first woman to run a sub-five minute mile. While Bannister was treated like a rock star, Leather’s achievement was scarcely mentioned. Adding insult to injury, the International Association of Athletics Federation (IAAF) wouldn’t recognize Leather’s new world record. Still smarting from the perceived debacle at the 1928 Olympics, the IAAF refused to track women’s records at distances greater than 800 meters. Of course, once the ban was lifted and the 800 meter race reinstated, women looked to conquer greater distances. Kathrine Switzer’s bold entry into the 1967 Boston Marathon drew attention to the sexism inherent to sport and the lack of equity in running. Five years following Switzer’s run, the Boston Marathon formally accepted women entrants (though they had to meet the men’s qualifying standard of 3 hours 30 minutes). And, Switzer is generally credited with leading the charge of women’s participation in the marathon. While Switzer’s contribution to women’s running can’t be understated, the first woman to officially run a marathon was Brittan Violet Piercy (though accounts differ as to the accuracy of that record; some claim Piercy’s marathon finish is official while others contend she only completed a solo, twenty-two mile road run). And, in 1959, Arlene Pieper became the first American woman to run the 26.2 mile distance, finishing the Pike’s Peak Marathon in 9:16. Pieper ran the race in bad shoes, taking in no solid food during her nine hour run, and drinking water from a stream. While the marathon continued the gain in popularity, so did women’s track and field events. The Olympics continued to add women’s races of greater and greater distances, beginning with the 1500 meter event at the 1972 Games in Munich. Teenage American runner Mary Decker benefitted greatly from the inclusion, and by 1982, Decker had set world records in the mile, 800 meter, 1500 meter, 3,000 meter, 5,000 meter, and 10,000 meter events. Decker soon found herself gracing the cover of the July 1982 issue of Sports Illustrated, the first female runner to appear on the sports rag’s cover. In the intervening years, the credit for being the first woman runner to be featured on a Sports Illustrated cover would often go to Jackie Joyner-Kersee. But, Joyner-Kersee’s javelin-wielding photo was published in the summer of 1987, five years after Decker’s cover shot. The oversight may have something to do with the doping accusation that arose against Decker during the 1996 Olympic Trials. Decker failed a urinalysis during competition, the test detecting higher than allowable levels of testosterone in Decker’s body. Decker maintained her innocence, saying the test was unreliable for female athletes over the age of thirty, especially those taking birth control pills. But, the allegation cast aspersions on Decker’s otherwise glorious career. Much mystique surrounds “firsts” in the women’s marathon. Like Piercy, the accuracy of the race’s record keeping is called into question after so many years. Greek runner Stamata Revithi petitioned the Olympic committee to be allowed to run in the 1896 Olympic marathon. She was denied a spot on the starting line, but legend holds that she ran the same route the following day. Revithi’s name is often mentioned in concert with a person named Melpomene, but historians can’t be sure if Melpomene is a second woman who ran with Revithi or Revithi herself. Either way, Revithi’s claim to the marathon is considered unofficial and can’t be substantiated in any case, leaving Revithi to languish in history with other female weekend warriors who may have run 26.2 miles without the benefit of aid stations and crowd support. But, several women, denied a formal entry into an official marathon would jump into the race somewhere along the course, dogging the footfalls of the male participants and going unrecognized in the record books. In 1931, Gazella Weinreich, having been turned away from a marathon in Baltimore is believed to have run the race anyway. Weinreich was at the starting line when a telegraph arrived from the Amateur Athletic Union (AAU) deeming her ineligible to compete. The Bluefield Daily Telegraph reported that the sixteen year old girl had won a 2,000 hour dance contest the year before, but the AAU felt the marathon would be too taxing for a woman. Weinreich left the starting line, but rumors circulated that she started running the race after the men had taken off. In a more concrete marathon bid, Roberta Gibb hid in the bushes beside the 1967 Boston Marathon starting line, jumping into the race after the gun sounded. Though Gibb was logging long runs upwards of forty miles, the Boston race director maintained that women were physiologically unable to run a marathon. Having little other choice, Gibb ran Boston as a bandit, unofficially completing the race in 3:27, three minutes under the men’s qualifying time. The controversy surrounding women in marathons didn’t end in the 1960s, however. In 2011, Amber Miller ran the Chicago Marathon in six and a half hours. Miller was also thirty-nine weeks pregnant and delivered a healthy baby girl just hours after the race. 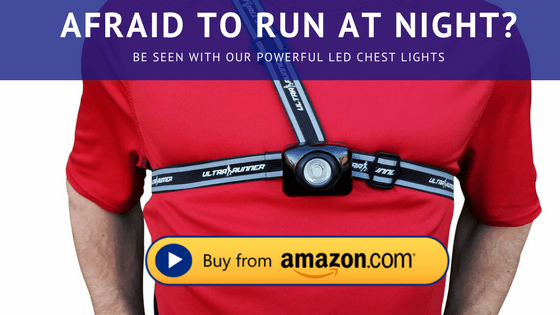 Miller’s feat drew ire from those on the blogosphere despite numerous physicians’ assertions that Miller, a lifelong runner, hadn’t put herself or her baby in any danger. In June, Harriette Thompson ran the San Diego Marathon and set a world record for her age group. Thompson’s time? 7:07:42. Thompson’s age? Ninety-one. What makes Thompson’s feat even more amazing is that she ran the race a scant month after finishing her last radiation treatment after being diagnosed with oral cancer. But, Thompson will have to run the race again if she hopes to claim the title of oldest female marathon runner (likely, given that Thompson has run fifteen marathons in the last sixteen years, missing only one season’s race due to her diagnosis). That title belongs to Gladys Burrill. Burrill, whose nickname is the “Gladyator,” finished the 2011 Honolulu Marathon at the tender age of 92. Thompson and Burrill are in good company as women’s running has a proud tradition of Masters runners. In 1978, Mavis Hutchinson became the first woman to run across the United States. Hutchinson was fifty-three years young. And in 1980, Toshiko d’Elia became the first woman to run a sub-three hour marathon over the age of fifty. Toshiko continued running daily until she was diagnosed with a brain tumor in December. She was eighty-four years old. Toshiko always warmed up for her afternoon run with an hour morning swim followed by two hours of exercise. She passed away shortly after her diagnosis in February of this year. Most of these women admit finding running later in life. Thompson didn’t start running the San Diego marathon until she was seventy-six. For others, running starts early. In November 2013, fourteen year old Winter Vinecki finished the Athens Marathon. While other preteens have completed that distance, no one younger than Vinecki can claim they’ve run a marathon on all seven continents, a coup Vinecki solidified with her race in Athens (in case you’re wondering, Vinecki knocked off Antarctica in April 2012). But, what’s a kid to do when both of their parents are runners? Such is the case of six year old Texan, Keelan Glass. Keelan’s parents are seasoned triathletes, and Keelan was unwilling to sit on the sidelines while her parents trained for their upcoming race. Soon after exiting the jogging stroller, Keelan was pestering her mother to enter her in a half marathon. After receiving her pediatrician’s permission, Keelan’s parents relented, and Keelan ran the Showdown Half Marathon in 2013, raising money for the community’s pregnancy care center along the way. The 1928 Olympic Committee, the 1954 IAAF, and the 1967 Boston Marathon organizers would likely be shocked to learn that women cannot only run long distances, but they’re starting to pass the men. In September 2013, Danya Crawford won the Big Cottonwood Marathon in Salt Lake City outright. Crawford finished the race more than three minutes ahead of the men’s leader. Nicole Chry and Anna Bretan followed suit with wins of their own at the 2014 Kauai and Modesto Marathons, respectively. Crawford, Chry, and Bretan were only following the race precedent set by Pam Reed. In 2002, Reed was the overall winner of the Badwater Ultramarathon. And, for Reed, one win wasn’t enough. She repeated as the race champion in 2003. Reed followed up her victories by becoming the first person to run 300 miles sans sleep. And, just when you think all running barriers have been breached, someone thinks up something new. Believing that riding the 2,115 miles of the Tour de France wasn’t tough enough, Zoe Romano decided to run the Tour’s route. For seventy-eight days, Romano logged an average daily run of thirty miles. Romano designed her solo race, so that she’d finish a day ahead of the male cyclists, and not to be outdone, day seventy-nine, Romano’s final run, was ninety miles. Perhaps Romano provided the Tour directors with the impetus they needed to add a women’s race. The inaugural Women’s Tour de France was held this year. Nice site spencer. Is tinglebytes yours as well? where you can test yourself against such a field.